lvb821 has no other items for sale. 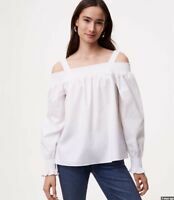 NWT Ann Taylor Loft Ivory Striped Henley Shell Blouse Top. Large.